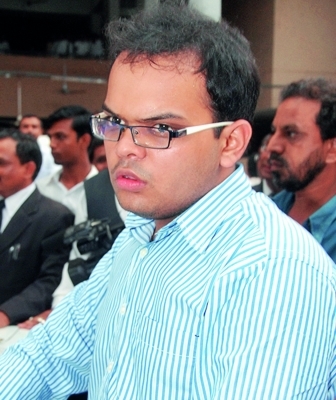 Ahmedabad, Oct 24 (IANS) The Ahmedabad Metropolitan Court on Tuesday issued summons to all the accused in a criminal defamation case filed by Jay Shah, son of BJP President Amit Shah, against news portal The Wire for publishing a story that the turnover of Jay Shah’s company jumped 16,000 times after the Modi government took office. The summons to the reporter and editors of the online news portal were issued under Sections 500 and 114 of the Indian Penal Code as well as Section 202 of the Criminal Procedure Code. According to S.V. Raju, advocate for Jay Shah, they contended in the court that there was a prima facie case of defamation and the article was published with the intent and knowledge to defame. “There was an ulterior motive in publishing the article and the timing was deliberate to make it an issue for the (Gujarat) elections,” Raju told reporters. He told the court that Jay Shah’s reply was not considered while publishing the article. The Wire published an article on October 8 written by Rohini Singh which claimed that the revenues of Shah’s company had risen 16,000 times from Rs 50,000 to Rs 80 crore within a year after Narendra Modi became the Prime Minister in 2014. He then filed a defamation case in the metrpolitan court on October 9 against Rohini Singh, the author of the story, Founding Editors Siddharth Vardarajan and M.K. Venu and owner of the online media outlet The Wire, Federation for Independent Journalists (FIJ). Jay Shah and his lawyers, who were not present at the last hearing on October 11, attended the court on Tuesday to argue the case. Two witnesses, Jaimin Shah and Rajiv Shah, were also there. After Jay Shah verified his complaint, Jaimin Shah submitted that he had received a weblink of the article from his friend and after going through it he felt it could harm the reputation of Jay Shah. Rajiv Shah said he received the article link on his mobile phone and he found it defamatory for Jay Shah, whom he described as a “simple” person and a “man of repute” in the society. The next hearing has been posted for November 13.